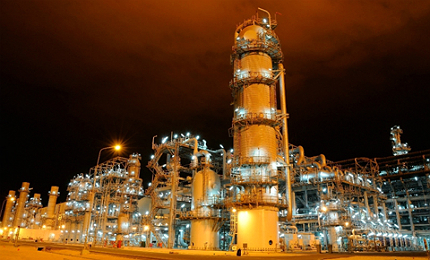 The Qatar Helium 2 Project is the world's largest helium refining facility. The facility has a capacity to produce 1.3 million cubic feet of helium a year. The facility procures LNG from the Qatargas LNG trains 4, 5, 6 and 7. The Qatar Helium 2 project is the world’s largest helium refining facility in Ras Laffan Industrial City, Qatar. The $500m project broke ground in May 2010 and the facility was opened in December 2013. The facility has a capacity to produce 1.3 billion cubic feet of helium a year to position Qatar as the second-largest helium producer in the world. With a combined annual production of 1.96 billion cubic feet, Qatar accounts for 25% of the world’s helium production. Launched in 2005, the first Qatar helium facility contributes approximately 20 million cubic metres a year. The project is a partnership between Qatar Liquefied Gas Company 2 (Qatargas 2), Qatar Liquefied Gas Company 3 (Qatargas 3), Qatar Liquefied Gas Company 4 (Qatargas 4) and Ras Laffan Liquefied Natural Gas Company (3). RasGas Company manages and operates the Helium 2 refining facility. The plant captures and processes helium gas recovered from Qatar’s North Field. Crude helium extracted by the helium extraction units is sent to the Air Liquide-manufactured helium liquefier. "The facility has a capacity to produce 1.3 billion cubic feet of helium a year." Processing involves purifying and liquefying of the crude helium using Air Liquide’s patented advanced technology. 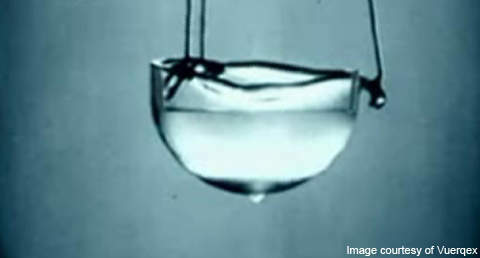 Helium is separated from the raw gas stream in two phases. In the first phase, the crude helium is separated within the liquefaction area of the plant. All impurities including nitrogen, hydrogen and methane are removed during the second phase. Within the upgrader unit, helium is purified to 99.99% purity following a pressure swing adsorption process. The pure gas is liquefied using a number of turbo expanders and brazed aluminium plate heat exchangers. Following liquefaction, the gas is stored in a Dewar or storage drum at -269°C. The storage drum is equipped with a vacuum jacket and a thermal shield. "Qatar accounts for 25% of the world’s helium production." The new facility was constructed adjacent to the Qatar Helium I facility. It includes an extraction unit, a purification unit and the world’s largest helium liquefier that was manufactured by Air Liquide. Helium extraction units in RasGas LNG trains 6 and 7 recover the helium generated as a by-product from the facilities. The liquid helium is stored in insulated pipes. The pipes have an inner diameter of two to three inches, and a 16in outer diameter. The plant was installed with Cryo Diffusion’s helium valve boxes and vacuum-insulated lines in 2012, in order to provide better transportation of liquid helium by minimising losses. The engineering, procurement and construction (EPC) contract for the project was awarded to Air Liquide on 6 May 2010. Chiyoda Al Mana Engineering Company (Chiyoda) was appointed as the EPC management services provider for the helium extraction units and utilities of the project in September 2010. Off-take agreements were signed with Air Liquide, Iwatani Corporation and Linde Gases, a Linde Group division, in the second half of 2010. Air Liquide procures 50% of the total helium produced. Linde Gases acquires 30% of the output, while Iwatani Corporation will get 20% of the annual production up to 2032. The feedstock for the plant was supplied by the partners in the joint venture. One third of the crude helium is supplied from RasGas 3 trains 6 and 7, which began operations in August 2009 and February 2010, respectively. Each train has an annual production capacity of 7.8Mt of LNG. The remaining LNG is procured from Qatargas LNG trains 4, 5, 6 and 7. Qatargas trains 4 and 5 began production in 2009 and have an individual capacity of 7.8Mtpa. Trains 6 and 7, which were launched in November 2010 and February 2011 respectively, also operate at 7.8Mt annual capacity. The global consumption of helium was 6.3 billion cubic feet in 2013. Helium is used for a number of industrial and medical applications, including MRI scanners, welding and fibre-optics. By 2020, the global demand for helium is expected to rise by 30% at a rate from 2% to 3% a year. A large portion of this rising demand will be met by Qatar’s North Field reservoir, which hosts the world’s largest proven helium reserves. 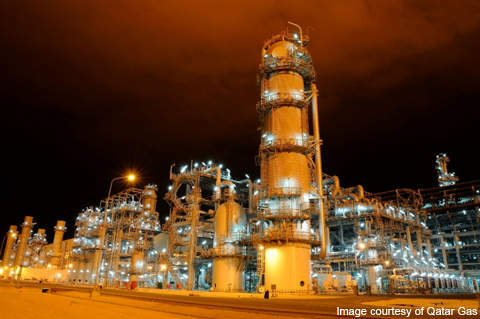 Al-Karaana Petrochemical Complex is a proposed olefins and derivatives plant, which will be located at Ras Laffan Industrial City in northern Qatar. HEROSE is the leading manufacturer worldwide of valves for cryogenic applications and services.